Balancing On My Toes: Book Reviews! 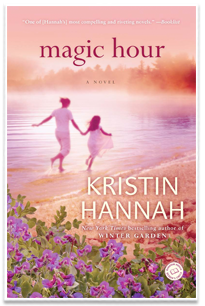 I recently finished an amazing book by one of my favorite authors, Kristin Hannah. If you haven't read anything by her yet- I recommend you get on it immediately! I absolutely love her writing and this book, Magic Hour, was absolutely no exception. This novel is based around the lives of sisters, Julia and Ellie. They find a girl who is unable to speak and has clearly been through a traumatic experience. Julia, being a psychologist who recently has a horrible situation following her around, is called in to work with the girl, who she names Alice. The novel has so many twists and turns and when I picked it up I had a hard time putting it back down! As horrible as the situation with Alice is, I wanted to find out her story as the story continued- I wanted to know why she was unable to speak, or why she didn't want to speak. I was mentally cheering as she said her first words and as Julia was able to teach her new skills such as using the bathroom or not being afraid of the doorknob. I don't want to spoil the end of the story for anyone- but at one point I began crying and didn't understand how the author could let what was happening happen- and then everything changed for the better and I had to wipe away my tears while I smiled away! I really recommend this novel to everyone- it definitely was a great book. I do prefer some of the other Kristin Hannah books to this one however. If you are just starting off reading a Kristin Hannah novel- I would definitely recommend Night Road and Firefly Lane, but so far I've liked nearly every book of hers that I have read. 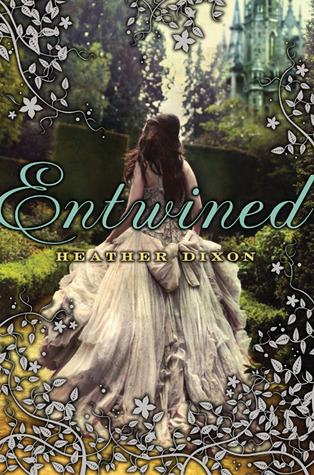 Another book, that I recently finished is Entwined by Heather Dixon. This novel was based on the children's book, The Twelve Dancing Princesses. It mostly follows the story of Azeala whos mother just passed away and who has a father that is very much not present in his daughters lives. Azeala is the oldest of 12 girls, all of whom share one bedroom in a magical castle. They find some magic one night after their father has banned dancing from the castle- they manage to escape every night and dance at a magical land. Things soon turn scary when the magic isn't always as it seems. Before reading this novel I read some reviews and everyone that recommended it says it was amazing novel and they highly recommended it. I thought it was pretty good- but it definitely wasn't my favorite story of all time. I liked the concept of it, but it was a little slow and a little long. I definitely won't be re-reading it anytime soon, but I'm glad that I gave it a chance. I wouldn't entirely recommend it but I wouldn't say that you shouldn't read it either!